Register now for the May 10th cohousing info meeting & potluck. Join us Thurs., May 10, 2018 for “Building Community in Different Ways,” as we explore ways people can live together as a harmonious group. We are featuring a panel of three speakers: John Kalmon, a local architect versed in cohousing; Lindsey Flicker, outreach representative for Camphill Village MN; and Tom Pierson, independent cooperatives consultant who is on several co-op boards and will speak about cooperative living. Cost is $8.00. Bring a dish to share and enjoy a potluck meal. So that organizers can set up the room appropriately, please register and pay at this link. A limited number of registrations will be taken at the door. Join us for an informative evening, good food and camaraderie. 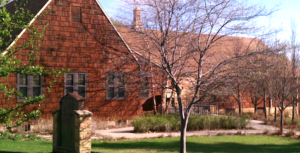 *NEW* Location: Bryn Mawr Presbyterian Church, 420 S Cedar Lake Rd, Minneapolis.